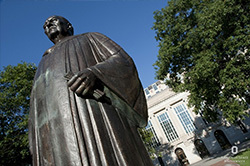 Final Program Now Available, click here to view. Funding support provided by Los Alamos National Laboratory. ICSMA 18 builds on a 50-year tradition of providing an international venue for the latest advances in the strength of materials. Scientific topics provide comprehensive coverage of the field, from basic concepts of deformation to advanced engineering materials, and across composites, alloys, biomedical and bio-inspired materials, and emerging materials. The meeting will advance fundamental understanding of the processes that govern the strength of materials at different length and time scales, and it will forge links between basic studies and investigations of technologically important engineering materials. Thus, ICSMA 18 will offer a broad forum for the presentation and discussion of all aspects related to the strength and deformation of a wide range of materials. 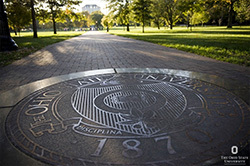 The conference will be held at The Ohio State University (USA), providing an open campus setting in which to meet. 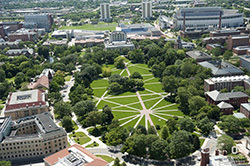 ICSMA 18 will take place at the Ohio Union (above) on the campus of The Ohio State University in Columbus, Ohio, USA. ICSMA 18 will begin on the evening of Sunday, July 15 with a an opening reception and conclude on the evening of Thursday, July 19 with a closing banquet. 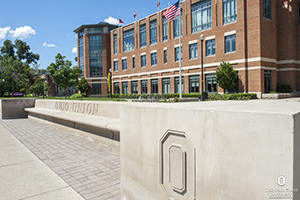 Each weekday morning will begin with a plenary session and transition to six concurrent sessions, all held in the convenience of the Ohio Union, a state-of-the-art meeting space integrated with restaurants and shopping along the High St. commercial district. 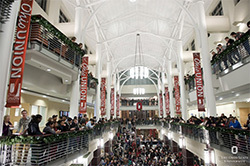 Please see Special Events for information on networking and special events throughout the week. Click the button above and fill out the form if you are interested in receiving e-mail updates on ICSMA 18. 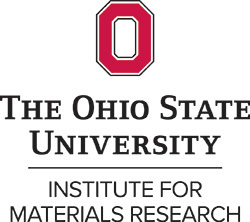 The Institute for Materials Research is Ohio State’s gateway to materials research innovation.